JOVA display furniture manufacturers is a shop furniture design and manufacture factory in Guangzhou, China. It is covering 20000 square meters with more than 100 workers since 2003. 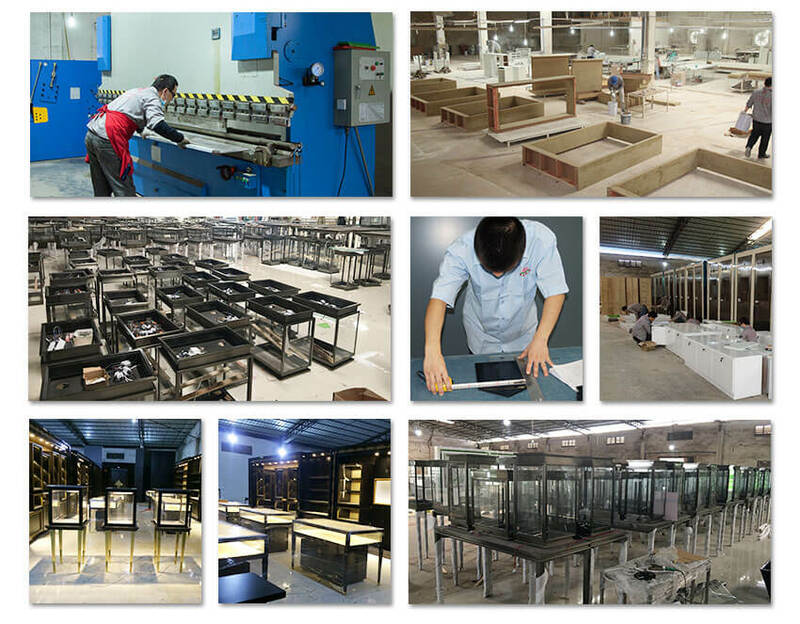 We have following workshop: carpentry workshop, polishing workshop, fully enclosed dust-free paint workshop, hardware workshop, glass workshop, acrylic workshop, assembly workshop, warehouse, factory office and showroom. We supply shop furniture for jewelry, watch, cosmetic, clothing, phone, digital products, optical, shoes, bags, etc. We are a factory with more than 100 workers, and covering 20000 square meters since 2003. We have following workshop: carpentry workshop, polishing workshop, fully enclosed dust-free paint workshop, hardware workshop, glass workshop, assembly workshop, warehouse, factory office and showroom. JOVA Display Furniture have our own factory and company. Our office is in Yongtai Congyun Street, Baiyun District, Guangzhou city, China. 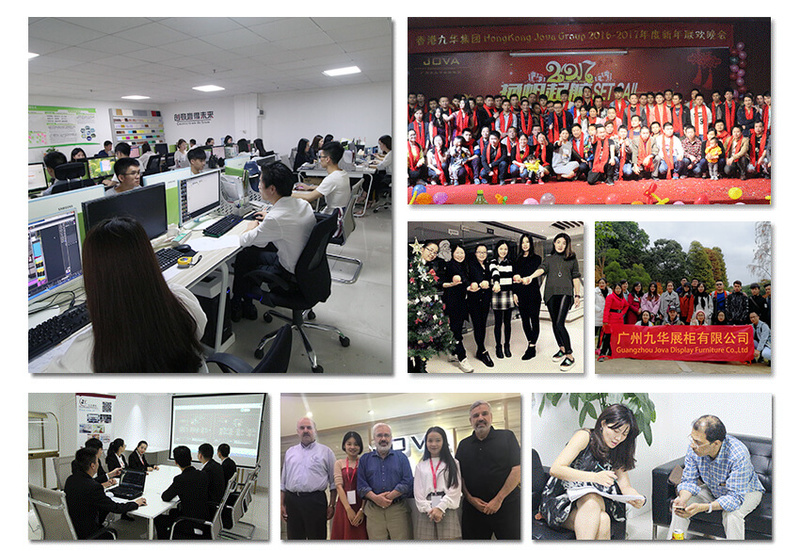 We have a positive, loving family in cluding overseas sales department, domestic sales department, design department, after-sales department, operation Department, administration department, and so on.